You have 1586 characters. Don’t forget to add important and relevant keywords in your description to improve your iTunes app page and optimize your SEO. Your app's last version was released on February 14, 2014. It is important to regularly update your app. Best practices recommend to update your app every 4 to 6 weeks. This means fixing reported bugs, improving existing features, launching new features etc. Keep an eye on users' feedback. The next great features may already be asked by many users. 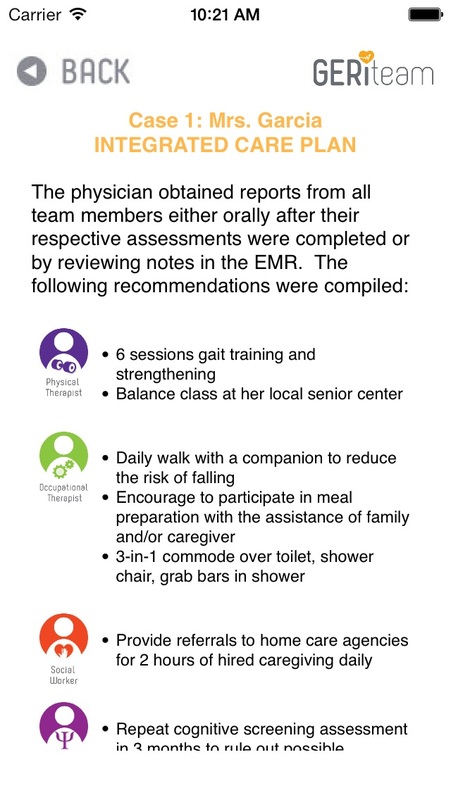 This app was designed to promote communication and collaboration within outpatient Geriatric health care teams. 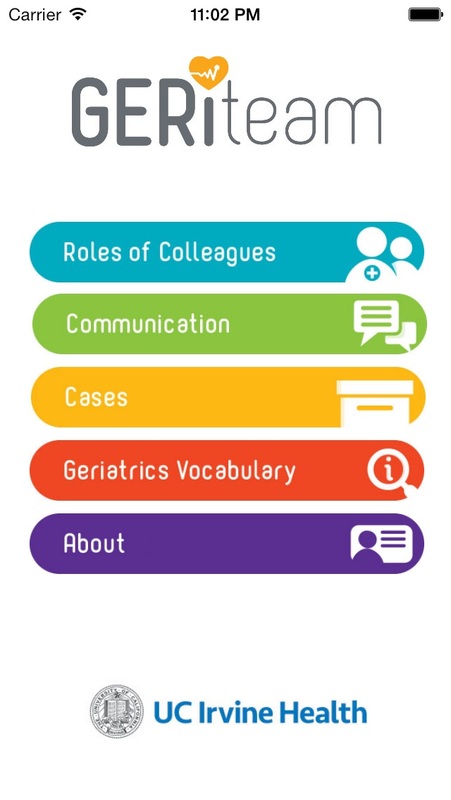 The main menu provides options to read about the roles of members of a geriatric health care team, communication guidelines, example cases of integrated team care and common Geriatric terminology. 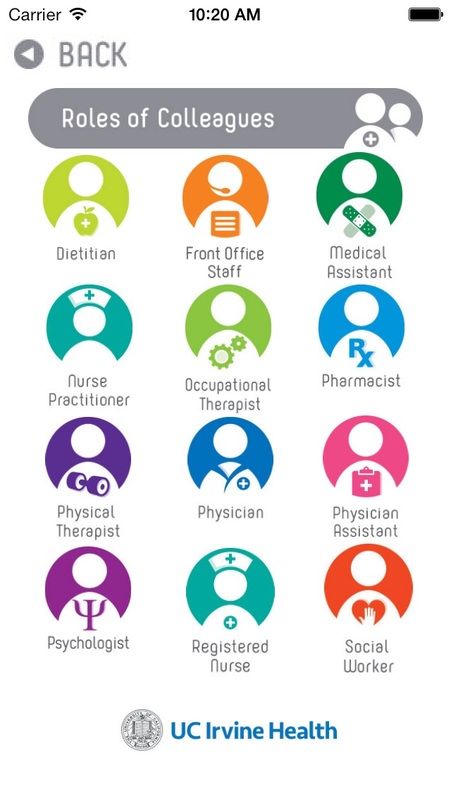 Roles of Colleagues – After clicking on this menu option, icons representing different roles on a Geriatric health care team are presented. 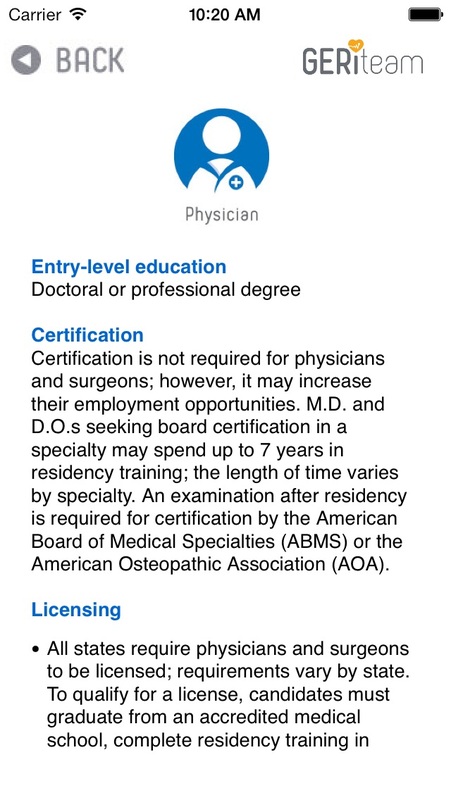 Clicking on an icon will take you to a page that describes the educational background and duties for those who perform this role. From this page, the Back button can be used to go back to the Roles of Colleagues page, or the GeriTeam button can be used to go back to the main menu. Communication – The Communication page lists a useful communication pearls/guidelines. From this page, the Back button can be used to go back to the main menu. 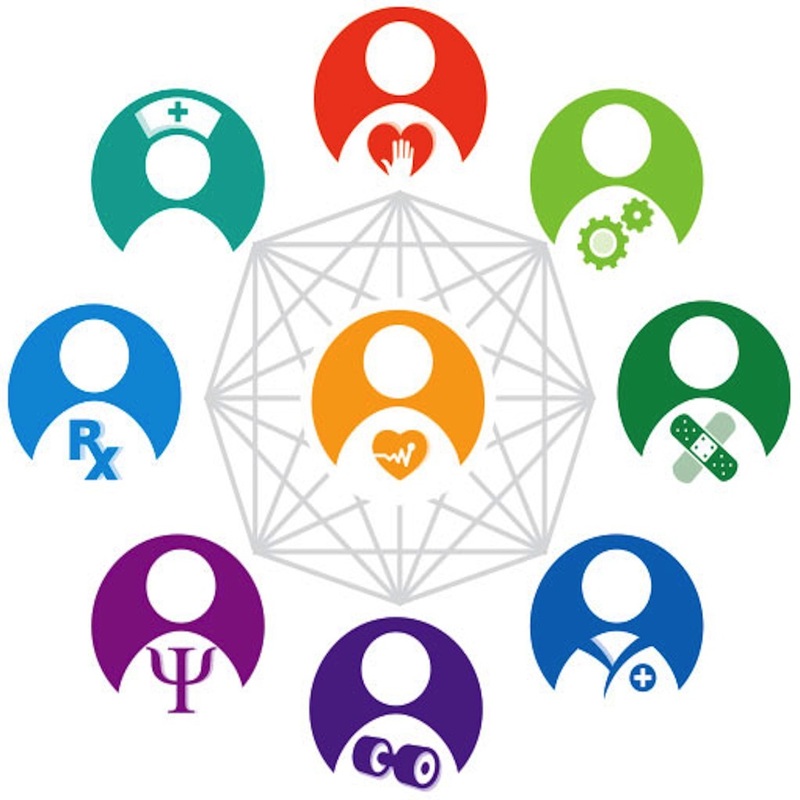 Cases – The Cases page will list different health care scenarios involving an integrated healthcare team. Clicking on a case will lead to a page that can take you to the Introduction of the case, the Findings of the case and the Integrated Care Plan. From these pages, the Back button can be used to go back to the case page, or the GeriTeam button can be used to go back to the main menu. Geriatrics Vocabulary – This page lists common geriatric terminology. From this page, the Back button can be used to go back to the main menu. About – The About page provides an overview of the app and the app’s collaborators. From this page, the Back button can be used to go back to the main menu.